A purpose-built solution proven to serve the unique needs of energy assistance program administrators. Fully hosted – no hardware or support needed. Because you are spending too much time answering the phones, setting appointments, following up on voicemails, managing walk-ins and juggling calendars. We have a better way! Centralized application manages appointment schedules for all intake staff across multiple locations. Easy, phone-based appointment scheduling, cancellation and immediate confirmation of set appointments. Send reminder notification to your clients to reduce no-shows and inform what to bring to appointments. Centralized client database & scheduling system significantly reduce staff time for CAA’s currently scheduling appointments with live agents or walk-ins. Run organizational reports with a click of a button to view or download and use for program tracking and daily, monthly & annual reporting. Allow your clients to schedule, check or cancel appointments on-line as well as check status of their applications. Document and track benefit /award information for individual clients such as application received, award amounts, certification dates and denied applications. Complete flexibility to easily self-manage your multiple locations, assistance programs, funding sources & more. Key CommunityAppointments system features that will streamline administrative tasks, save staff time and improve your customer services. 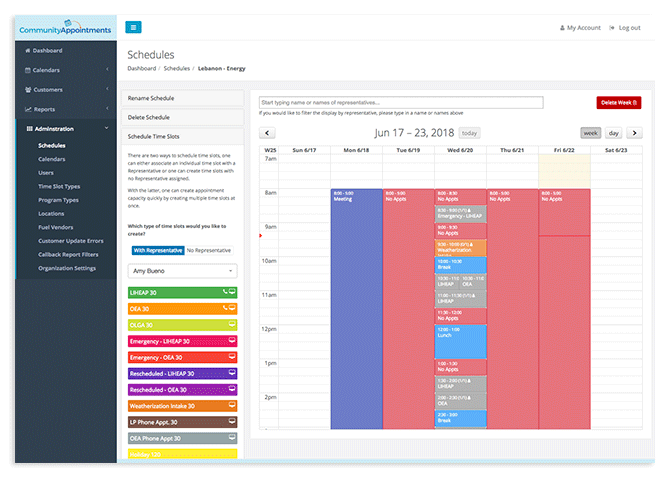 Our CA Scheduling and Management System is a SaaS – cloud-based system. Although having the time and staff to be able to answer every call, schedule each appointment and respond to all inquiries would be great…the reality is there just is not enough time, staff or money to do it all. Finding the right tools to make your staff more efficient while providing the best client experience should be every administrator’s goal. Our application not only benefits your staff, it benefits your clients too! The CA system was developed to securely interface or exchange data with third-party systems, such as case management software systems or state databases, in order to enhance efficiency, improve customer service and provide features that might not be available otherwise. We current have agencies with hourly data exchange processes that allow client benefit data to be imported, updated, and accessible via the IVR or web for application status inquiries and callback requests (such as Fuel Delivery requests). The data exchange process has been very successful and has enhanced customer service while reducing staff time at the agencies answering client questions for routine inquiries. 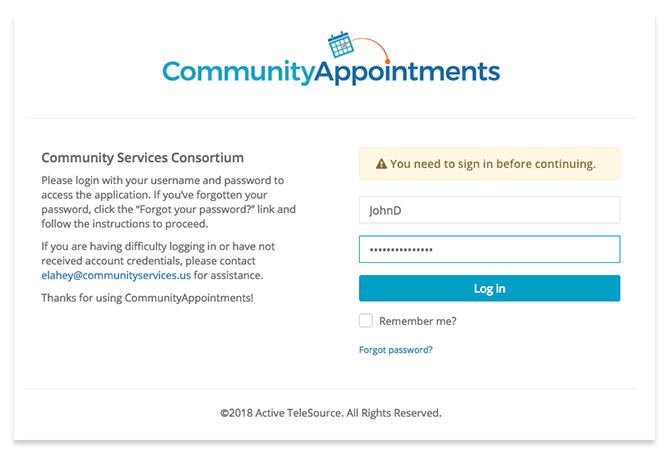 Interested in seeing the CommunityAppointments features in action? We’d love to show it to you. Complete the form below and we’ll schedule your online demo, we promise not to share your information with anyone. Thank you for your request, a representative from Active TeleSource will be in contact with you shortly. If we do not want the automated phone (IVR) feature, can we just have the web channel? Yes, you can determine if you would like the On-line module or Phone module or both. Can the CA system stop clients from making duplicate appointments? Yes, you can block clients from getting a second appointment if one is already scheduled. Can we use the CA system for non-Energy Assistance appointments? Yes, many of our agencies use the appointment scheduling features for non-energy related assistance programs such as VITA, SNAP, Food Pantry, etc. Does the CA system support multiple languages? Yes, phone messaging can be done in different languages. Can the CA system limit where clients can make appointments, such as by Zip Code? Yes, intake locations can be assigned by variables such as zip code or specific office phone number dialed. We already have a case management system, how is this different? The CA system is not meant to replace your Case management system. Our system provides intake and client-facing features most case management system do not have, or do not do it well. The CA system streamlines the management and scheduling of appointments and the administrative tools to do it efficiently. We can interface with your case management system to enhance the entire intake process. Many of ATI’s clients are utilities and energy-related companies. Our experience with respect to sensitivity in personal data that is imposed on regulated industries, such as utilities as well as Payment Card Acceptance (PCI), assures you have selected a trusted provider who puts the highest priority to Cybersecurity. Our hosted services utilizing our web facing Community Appointment (LSM) solutions as well as our interactive voice response (IVR) solutions are housed within secured networks, both on premise and cloud based with providers; Digital Ocean ™ and Amazon Web Services (AWS) ™ where applicable. ATI’s policies, procedures and processes are independently audited to meet PCI-DSS where applicable, SSAE 16 Type II and SOC 2 requirements to further emphasize our commitment to data security and process handling. Can appointments be scheduled manually or can appointments be designated as Reserved or Crisis appointments? Yes, appointment slots can be designated as schedulable only through the IVR, the web and/or manually. This allows admin control on how appointments are given out, including saving open appointment slots for crisis or reserved appointments. The cost of our service includes a one-time set up fee plus a monthly hosting and support fee. The one-time set-up fee is done to establish and customize the CA for your organization and provide all training and support through launch of the service. 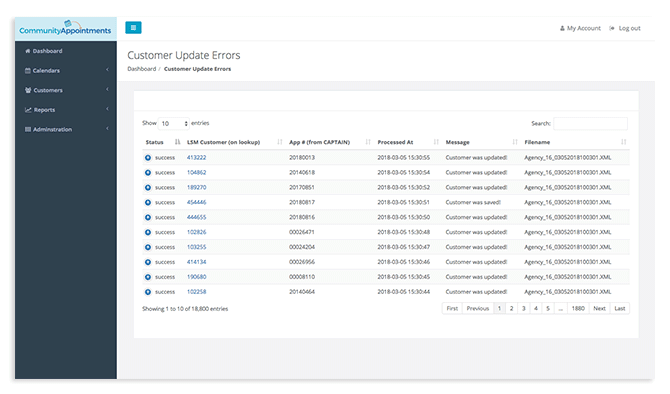 Hosting, security patches, on-going application enhancements, and customer support are provided as part of the monthly fees. Fees are variable and tailored to the organizational requirements and selected modules. We will provide a full cost proposal for your consideration once we determine the features your organization would like. We will work with all agencies to propose the most cost-effective solution to you needs and funding challenges. To learn more about the CommunityAppointments system, please use our contact form or the contact information below. Thank you for contacting us, a representative from Active TeleSource will be in contact with you shortly. 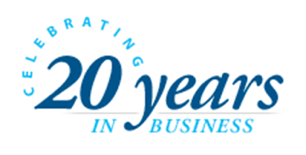 Since its formation in 1997, Active TeleSource has focused on building a center of excellence in customer care working with industry leaders in regulated industries. This approach has driven the company to invest in developing the people, the technology, systems and processes that meet the unique requirements of organizations that have high standards of state and federal compliance. Active TeleSource (ATI) currently has 250+ call center agents providing professional, outsourced solutions specializing in customer care and customer retention programs. ATI is actively involved in the utility industry and works with multiple award-winning public and private utilities as well as Community Action Agencies. Our core service offerings include hosting customer facing payment processing and specialized IVR (interactive voice response) and web-based programs for customer self-help and Energy Assistance. ATI’s policies, procedures and networks are independently audited to meet PCI-DSS, SSAE 16 Type II and SOC 2 requirements for providing secure storage and exchange of sensitive data. In 2011, one of our utility clients asked us if we could provide a better way to handle LIHEAP appointment setting, customer tracking and award status inquiries for their internal Community Action Agency. They were spending too much time answering the phones, setting appointments, managing calendars and following up on voicemails. The process was inefficient and the overall experience for the staff and the customers was frustrating and time consuming. This was the beginning of the CommunityAppointment (CA) Scheduling and Management System and that organization is still a happy client of ours! The CA was produced in a truly collaborative manner by a team that focused on delivering a better way of managing LIHEAP and related Energy Assistance programs through an automated phone system and hosted web application. ATI brought extensive expertise in IVR and software application development and data security with a focus on customer service. © 2018, Active TeleSource, Inc.